With the start of the school year, the new Career and Technical Education (CTE) building on the Paris High School campus was put in use by Automotive Technology classes. The building is to ultimately house additional classes and construction continues toward that end. As a method of fiscal conservancy, Paris ISD opted to complete the interior construction by utilizing maintenance staff within the district. 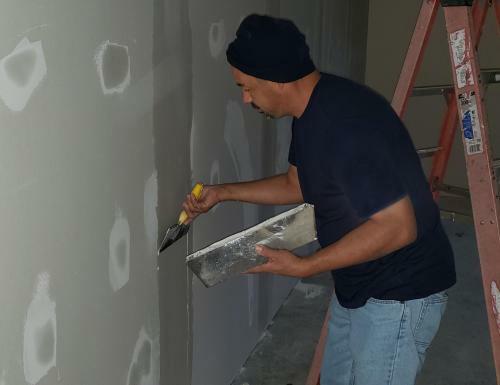 Between priority and emergent projects it has been possible to utilize district maintenance staff to complete the interior portions of the new building. “These areas will ultimately house robotics, engineering and forensic science classes taught by Jodi Andoe and Deborah Andrews. The additional space provided in the building will allow all classes to expand the hands-on experiences available to students,” said John McCullough, PISD Director of CTE and Secondary Education. The building is expected to be completed by the end of December and classes will begin to meet in the newly completed areas after the Christmas break. Once the remaining classes move in the district plans to hold an open house to allow the public to view the new facility.